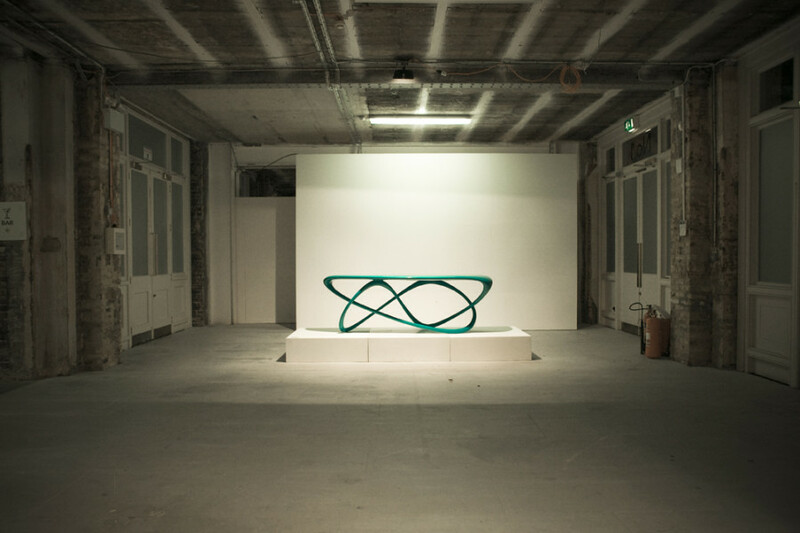 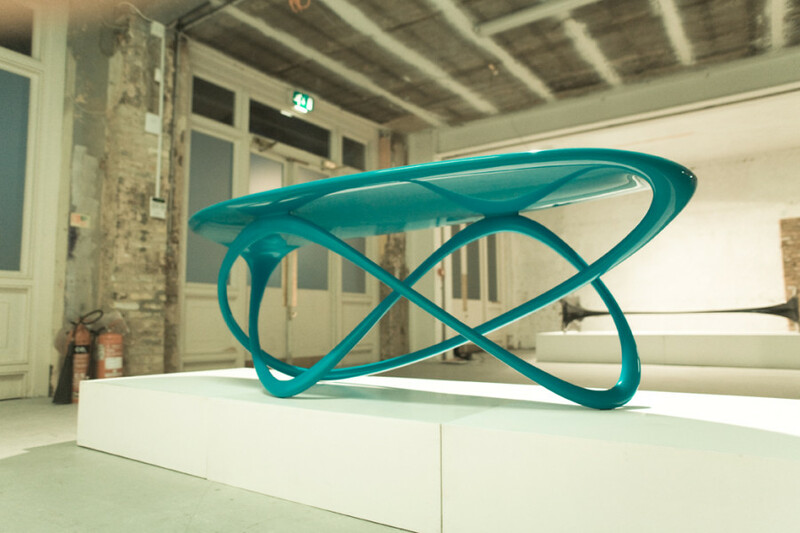 Pop is a dynamic table consisting of one seamless ribbon stretching to form the configuration of a table with an almost fuse like friction. 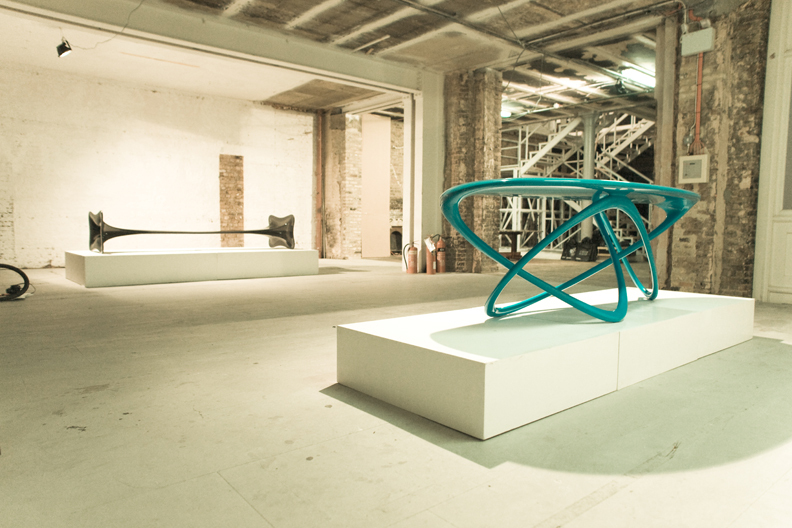 From the 3 points of contact, the line skims around an orbit to create both form and structure. 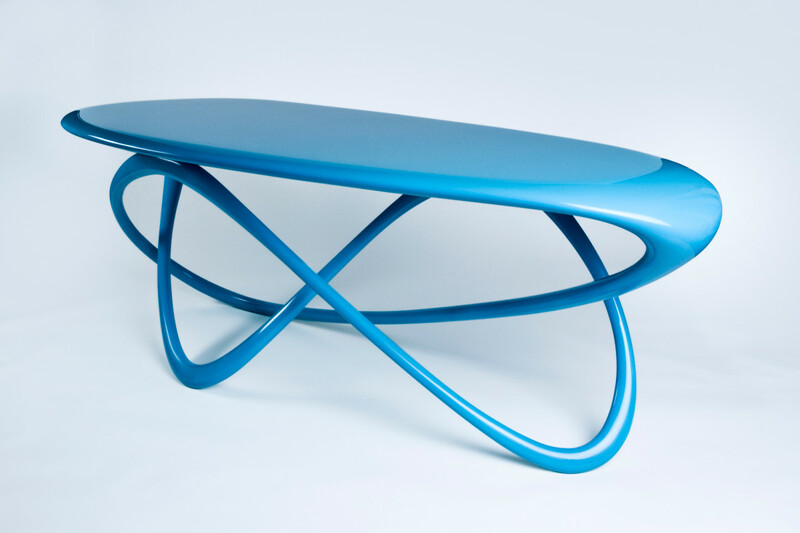 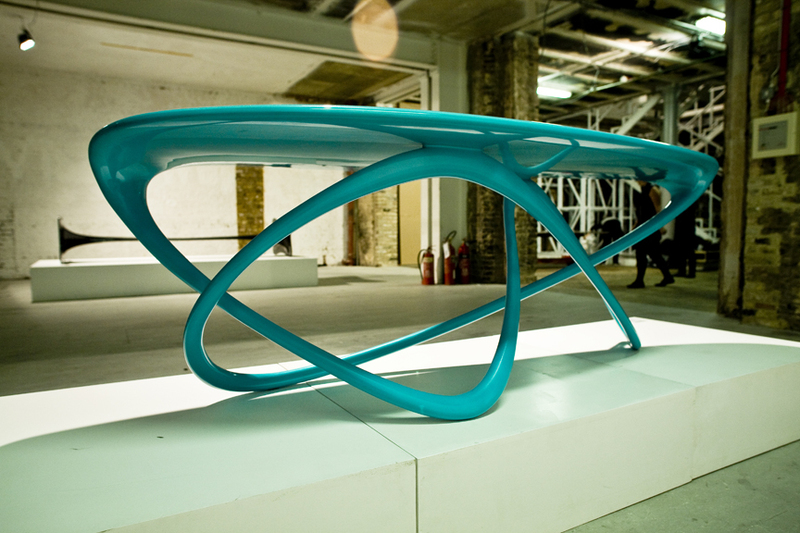 Conceived digitally and realised through CNC fabrication, the Pop table is coated in carbon fibre and finished in a striking electric blue.